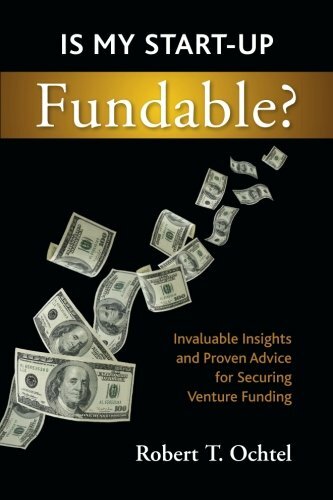 Based on over 20 years funding experience, “Is My Start-up Fundable?” provides invaluable insights and proven advice for entrepreneurs looking to secure venture funding for their start-ups. All aspects of start-up funding from business concept creation through securing funding are covered. Independently delineated, the topics presented in this book address the broad spectrum of diverse and disparate issues facing start-up companies, all of which first-time entrepreneurs need to have an intimate knowledge of in order to secure venture funding. You will learn: · What venture investors look for in a “fundable” start-up company. · Required key elements of business planning for your start-up company. · What venture capitalists consider when reviewing your start-up company’s business plan. · How to prepare, approach, and present your start-up company to venture capital investors. · How to secure venture funding for your start-up company. With the valuable insights and proven advice provided, this book will substantially increase the probability of securing funding for your start-up. Robert Ochtel has raised more than $50M in venture capital, corporate, and private equity from such firms as Sequoia Capital, Brentwood Associates, Oak Investment Partners, AT&T Ventures, and Intel Corporation. In 1998, a wireless start-up company that Ochtel was instrumental in founding was sold to IBM for $180M. In 2002, he founded The Carlsbad Technology Group, Inc. (www.carlsbad-tg.com), a consultancy that specializes in working with start-up companies to facilitate their business strategy planning and associated efforts to secure angel, venture, and private equity capital.